A list of words is provided below that you are expected to identify, learn, and label on the models provided. Note that not all models will have some of the organs/structures, so be sure to find them on an alternate model. You must use all the words provided. Using the colored tape provided, write the number that corresponds to the organ/structure and place them on your model. When complete, notify your TA so they may check your work. For each additional station, directions will be provided for the activity. Station One: Are You a Super Taster? Using the spoon, use a small amount of the food coloring or powder on the tongue. Do NOT use a full spoon or pour a mound on the subject’s tongue! Paper squares will be provided which have a 1cm in diameter hole in them. Have the volunteer place the paper on their tongue and make sure that the hole aligns with the area highlighted by the food coloring. Use a camera phone (or other devices), to take a closeup still photo of the circle. The papilla will contrast against the color of the food coloring. 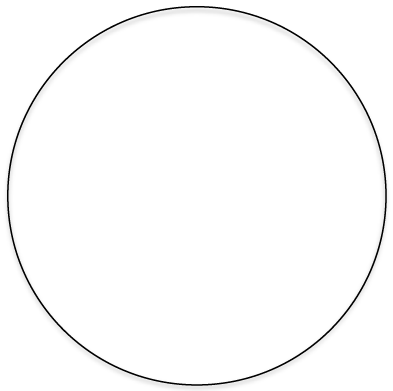 Count the number of the papilla in the circle and record it below. If there are between 0 and 5 papilla, then the subject is a “hypo-taster”. A hypo-taster is more tolerant of bitter tastes. If there are between 5 and 15 papillae, then the subject has average tasting capabilities. If there are more than 15 papillae found in this 1cm area, then the subject is a “hyper-taster”. A hyper-taster is more sensitive to bitter tastes. Determine whether the subject is a hypo-taster, average taster or hyper-taster and record it below next to “Tasting abilities”. Repeat with another group member. Note: if your lab does not permit the use of food items in the lab, leave the room before conducting this experiment. Label the models of this station with the number that corresponds to the appropriate structure of the peripheral nervous system using the colored tape. When you are finished, ask your TA to check your labeling. Before leaving the station, remove all the labels you have placed on the model. Note: For the following structures, be able to differentiate between left and right halves when applicable. Sketch the slides available for today’s lab and specify the magnitude at which you are observing/ sketching. Be sure to identify and label your sketch with the corresponding structures listed beneath each slide. First, determine the external surface features and structures of the cow eye. You should be able to identify: the sclera, or the white of the eye, the cornea, which is the semi-transparent layer covering the front part of the eye, and the optic nerve which protrudes from the posterior portion of the eye. There may be periorbital fat or external muscles still attached to the eye. Use dissecting scissors to cut away any fat or muscle attached to the eye. Using a scalpel, cut through the sclera along the frontal plane. When you remove the top of the eye, the part containing the cornea, what will remain is the lens sitting on top of a jelly-like mass known as the vitreous humor, it maintains the shape of the eye. Remove the lens and note how its composition is hard and similar to that of a marble. Next, remove the vitreous humor and take note of the shiny, blue layer along the inside of the back half of the eye, this is the retina. Moving back to the front half of the eye, depending on your initial halving of the eye, you can remove the iris from the cornea. Now lay out the contents of the cow eye from the most anterior through to the posterior portion of the eye and examine the structures. *If you are the last table to use this station, be sure to clean off the dissection kits in the lab sink. Human Anatomy Lab Manual by Malgosia Wilk-Blaszczak is licensed under a Creative Commons Attribution 4.0 International License, except where otherwise noted.